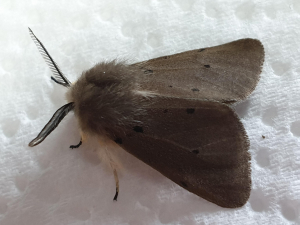 Observation - Muslin moth - UK and Ireland. Description: First muslin moth of the year in my garden, a rather smart male. First muslin moth of the year in my garden, a rather smart male.